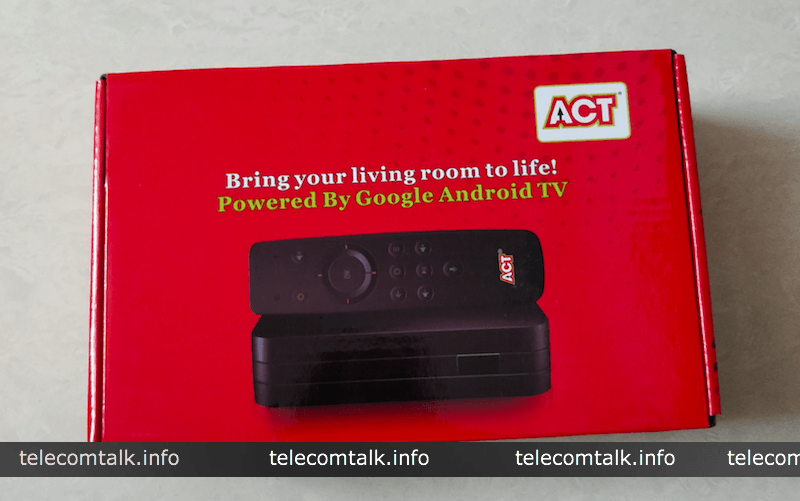 In a move to add more consumers on board, ACT Fibernet will be introducing a new Android-based streaming device, dubbed as ACTTV+. The company has started testing the device in several popular cities which includes Hyderabad, Bengaluru, Chennai and so on. For now, the company is choosing select users to test out the streaming device and there’s no way you get one by calling the customer support or asking the company on Twitter. 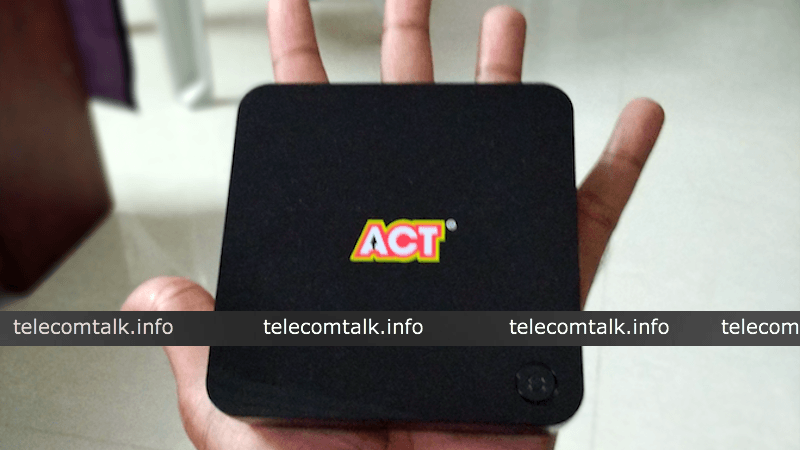 Read on to know more about the upcoming Android-based streaming device from ACT Fibernet which will take on the likes of Amazon Fire Stick in India. First and foremost, the ACTTV+ is manufactured by Chinese major ZTE Corporation as per the box which it comes in. The design of the box is pretty minimal and it’ smaller than palm size. The retail box comes with an HDMI cable, which should be used to connect the ACTTV+ with your television. There’s a power button on top of the streaming box along with ACT logo. The retail box also consists of a remote, which also has easy to adopt interface. Moving on, the ACTTV+ is an Android-based streaming device, meaning users can sideload apps or install apps from the Google Play Store. 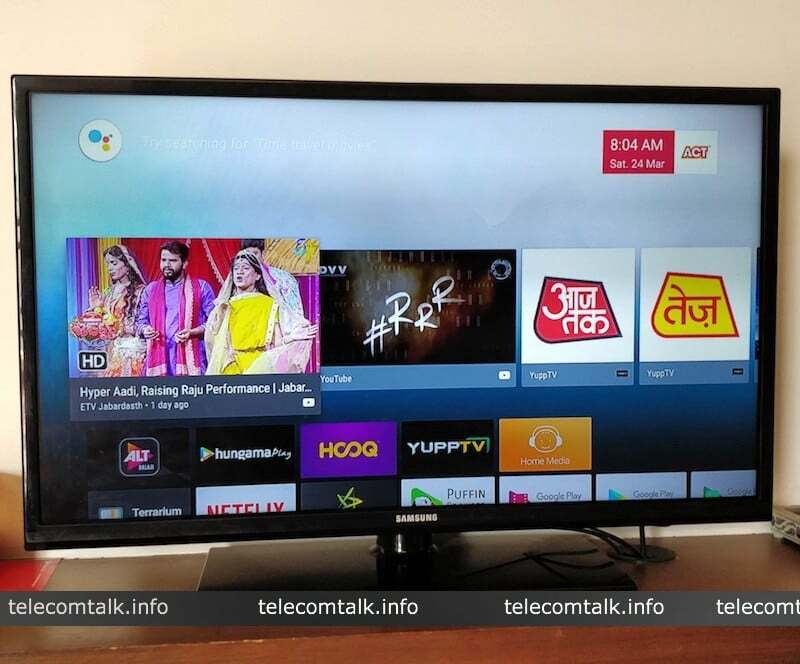 It runs on the dated Android 7.1.2 Nougat and comes preloaded with apps such as ALT Balaji, YUPP TV, Hungama Play, YouTube and HOOQ. However, whats’ surprising is the absence of Netflix and Amazon Prime Video apps from the Google Play Store, but one can always sideload the APKs to make them function. For users who use Hotstar, it can be downloaded directly from the Play Store. The ACTTV+ supports 4K resolution, meaning users can enjoy 4K video content from services such as YouTube. But that requires a faster internet connection too. It supports H.265 codec too. Specifications wise, this streaming device comes with a quad-core Amlogic processor, coupled with 2GB of RAM and 8GB of internal storage, allowing users to install apps. Ports-wise, it offers a single HDMI 2.0 port, 3.5mm headphone jack, microSD card slot for storage expansion (not sure about the maximum expansion though) and a couple of USB ports. Connectivity wise, it comes with an ethernet port, Wi-Fi and Bluetooth. The remote, which comes with the retail box is a Bluetooth based one and also supports voice recognition feature. The remote is a 14-button layout one. 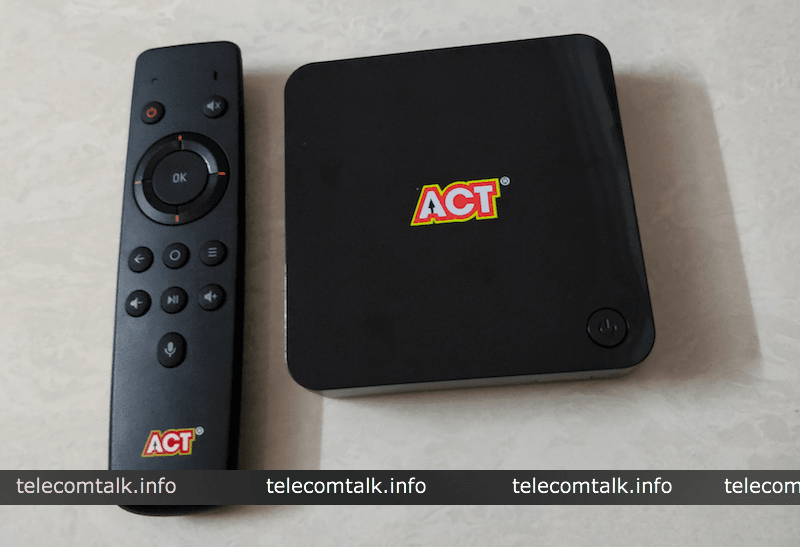 In our previous article, we reported that ACT Fibernet is currently testing this Android-based streaming box with select users. The testing period will take place for 30 days, post that the company will take it back. The launch date of this box is unknown at the moment, but it will arrive in the next couple of months after the testing phase. And if we forgot to mention, the services which come preinstalled with the ACTTV+ are completely free to use. The YUPP TV service is free for six months, which was recently announced by the company itself. Other services such as HOOQ will be available for free for two months. With inputs from Raghu B. But remember if you sideload the APK of Netflix or Prime, it will not support the HDR/4K resolution as the SSL encryption will not be registered with the device.